Telstra’s mission is to create a connected future for everyone. For decades, the telecommunications giant has been working hard to build that future for every one of its customers. Now with its All Roles Flex programme, it’s connecting its employees too. Almost four years after the programme was first piloted, Lynne Barry, global head of learning and development, looks back on its development, implementation, and success. With its All Roles Flex programme, Telstra ensures employees have the connectivity and flexibility to work wherever and whenever they need. Simply put, the policy means any of the company’s employees worldwide have the opportunity to break away from traditional working hours or locations. “All of our employees across diverse roles within scheduled and non-scheduled environments enjoy flexibility with All Roles Flex. This can come in the form of part-time work, different working hours, or working from different locations, to replace the traditional work week,” Barry summarises. In addition to further improving the employee experience overall, the project’s initiators felt that All Roles Flex would contribute to the company’s drive toward a more diverse and inclusive workplace. This, in turn, would lead to increased productivity and engagement, support the recruitment of new and diverse talents, as well as enable a new way of working with technology. Finally, encouraging flexible working company wide would establish a clear value proposition. “All Roles Flex is one of the key inclusivity initiatives that brings our values to life. By introducing the programme, the company took a new and disruptive position around mainstreaming flexibility,” says Barry. To get the project off the ground, it was piloted in Telstra’s customer sales and service business unit, which contains roles in account management, contact centre and retail environments among others. In addition to support from existing leader and departments, Telstra installed so-called Diversity Councils in each of the company’s business units to assist the implementation. “After a successful pilot, in September 2013, we announced that we would adopt All Roles Flex in all business units at Telstra by the end of March 2014. This was an audacious goal, managed and implemented locally through Diversity Councils in each business unit of Telstra, which decided on the right timings in each case and led manager education locally,” Barry explains. After the March 2014 deadline, these Councils continued the local focus to ensure a rich and extensive subscription to, and application of, practices consistent with All Roles Flex. Technology too played a key role in making the implementation possible. Telstra provided employees with the necessary devices to allow them to access our networks anywhere and anytime, making All Roles Flex possible. Engagement levels of Telstra employees who access “formal” arrangements to work outside the office are at 74%, 3 points ahead of Telstra employees overall, and 1 point ahead of the norm in high technology companies according to our Employee Engagement Survey conducted by Willis Tower Watson. For other companies looking to implement a similar policy or looking to drive change, Barry has some tips. “It is important to articulate the commercial value and how it fits with the overall culture. 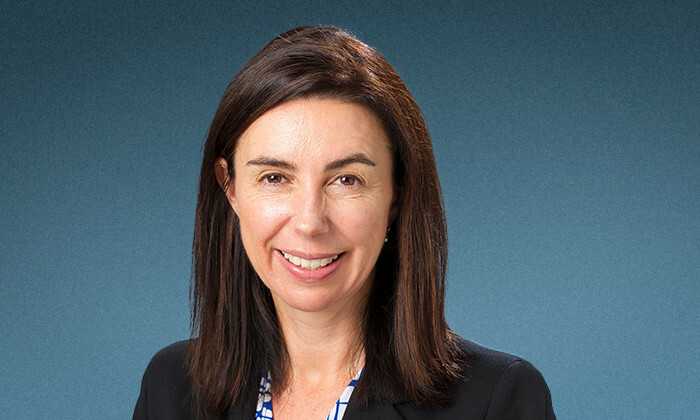 All Roles Flex was announced as one of the symbolic actions to support Telstra’s new Purpose and Values to deliver on business strategy,” she says. She adds that when it comes to flexibility, not all managers will have the capability from day one to see the benefits and have an open conversation about it. But their capability can be built beyond formal learning interventions by encouraging them to overcome their ‘fears’ of uncertainty. Allowing managers to develop an acceptance of the unknown and allow them the space to question ‘why not’ will help train them to be flexible and see the benefits of such flexibility. Worker-led activist group OUR Walmart plans to gather data on employee experience with the app to show the company what’s broken. ..